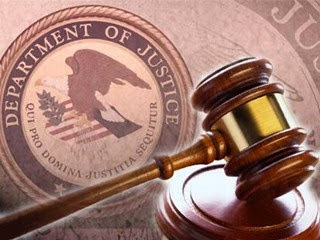 A criminal complaint was filed today in the U.S. District Court for the District of Columbia charging Ayad Fatafta and Kifah Ghanimat, both approximately 39 years of age and from areas controlled by the Palestinian Authority, in connection with the Dec. 18, 2010, murder of Kristine Luken, a U.S. citizen, in Israel. Acting Assistant Attorney General for National Security Mary B. McCord, U.S. Attorney Channing D. Phillips for the District of Columbia, and Assistant Director in Charge Andrew Vale of the FBI’s Washington Field Office made the announcement. The complaint charges Fatafta and Ghanimat with murder of a U.S. National Outside the U.S., in violation of Title 18 United States Code sections 2332(a)(1) and 2. Arrest warrants were also issued today for both defendants. According to the affidavit in support of the criminal complaint and arrest warrants, Fatafta and Ghanimat stabbed to death Ms. Luken, a 44-year old U.S. national who was hiking near an archaeological site while visiting Israel. She died at the scene. Another individual who was with Ms. Luken, a citizen of the United Kingdom and Israel, was seriously wounded in the attack but survived. The affidavit states that in 2012, Fatafta and Ghanimat each were convicted in an Israeli court of murder and other offenses in connection with the abduction and stabbing of both women. Fatafta was sentenced to one life term of incarceration plus 20 years, while Ghanimat was sentenced to two life terms of incarceration plus 60 years, for this and another crime. The charges in criminal complaints are merely allegations, and every defendant is presumed innocent unless and until proven guilty beyond a reasonable doubt. The maximum penalty for a person convicted of murdering a U.S. national outside the U.S. is a lifetime term of incarceration or death. The maximum statutory sentence is prescribed by Congress and is provided here for informational purposes. If convicted of any offense, a defendant’s sentence will be determined by the court based on the advisory Sentencing Guidelines and other statutory factors.